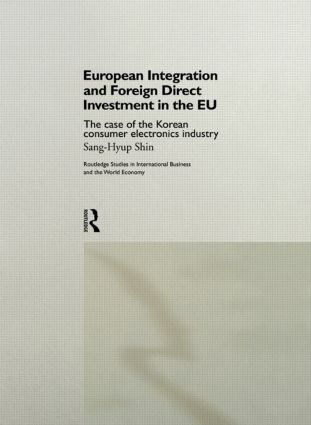 This book addresses the fundamental question why and under which conditions Korean firms increased their investment so heavily in the EU after 1986 and why they and not the Korean government took the initiative in the decision-making process. The author contends that the main reason for the firm's departure from government policy is the belief of the Korean government that national competitiveness, which largely affects the country's standard of living, is determined by the success of local firms in global competition. The author substantiates his argument by supplying comprehensive surveys of twenty-six Korean consumer electronics firms and concomitant interviews with senior managers in nine of these. The empirical material suggests that Korean consumer electronics firms were principally motivated by their need to seek market security through a 'globalization' strategy.